Last weeks Grotto Project was a huge success and is ongoing. Please read these words from Lucy Harvey the Lead Artist and follow the links for upcoming events. 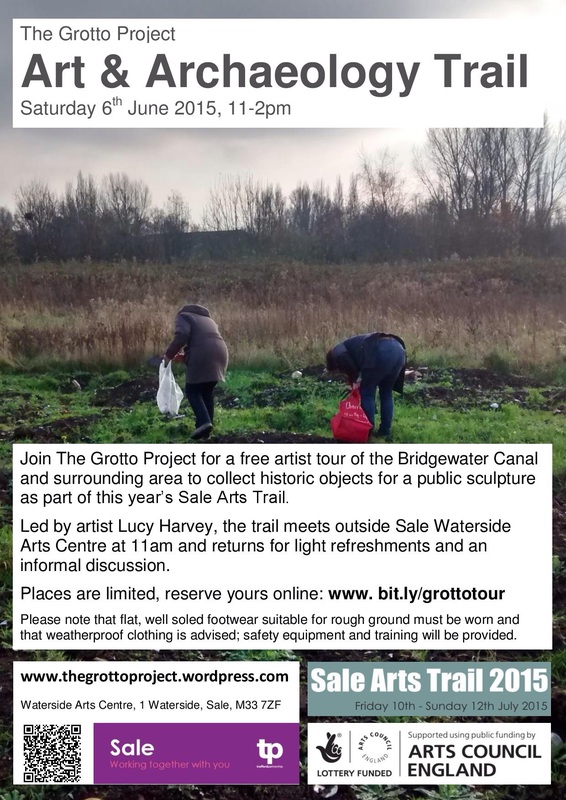 Thanks to everyone who came along on Saturday to help gather objects for The Grotto, we collected some really fascinating objects which provoked a good deal of discussion back at Sale Waterside Arts Centre. 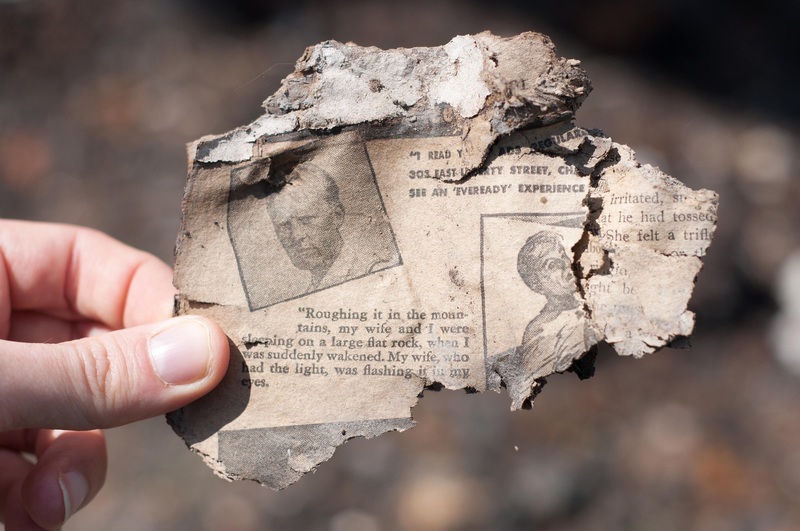 Highlights include fragments of a magazine horoscope circa 1940s, a pill bottle containing all (or at least some of it’s pills) and a tiny porcelain pixie perched beside a fragment of his former cottage. 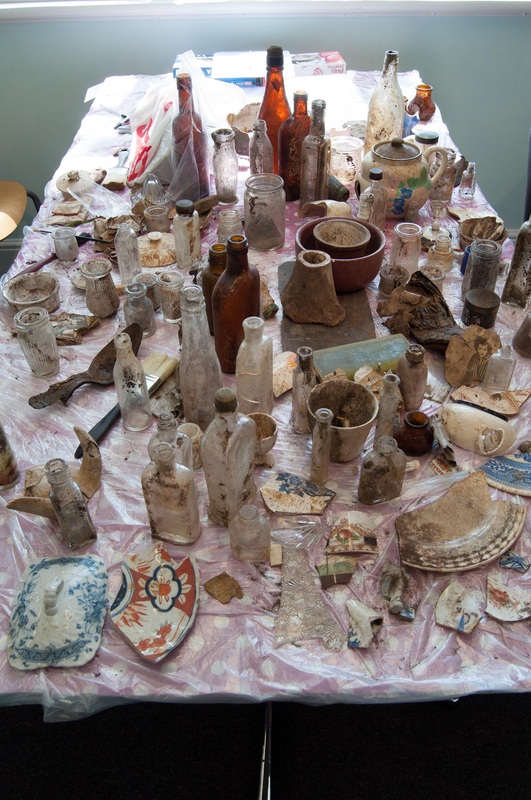 Our objects are going on display in Sale Town Square this week as part of The Grotto Project documentation, keep an eye on the old Coopers Sports space to see a changing display of our finds and a documentation of the project’s development. The Project is working with pupils from Sale Grammar School and families from Sale West this week to continue collecting objects and developing stories about them for The Grotto. 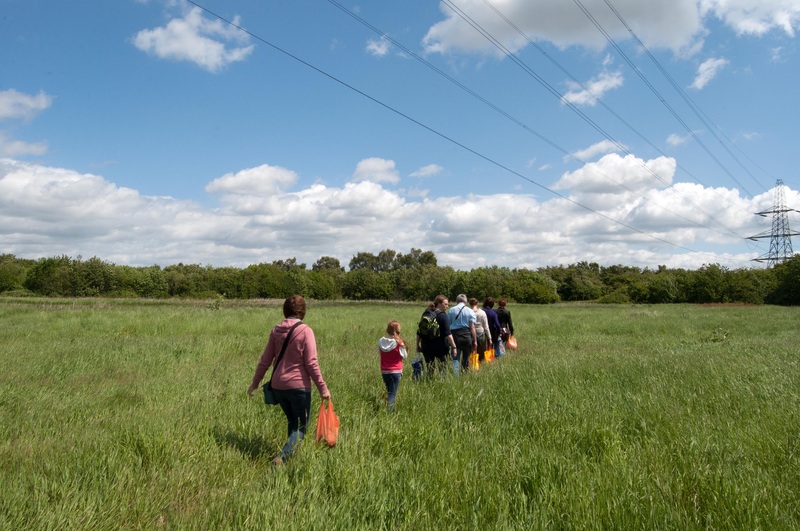 This Saturday’s trail is partnered with The Friends of Coppice Library Community Fun Day and is open to anyone, see how you can get involved here. 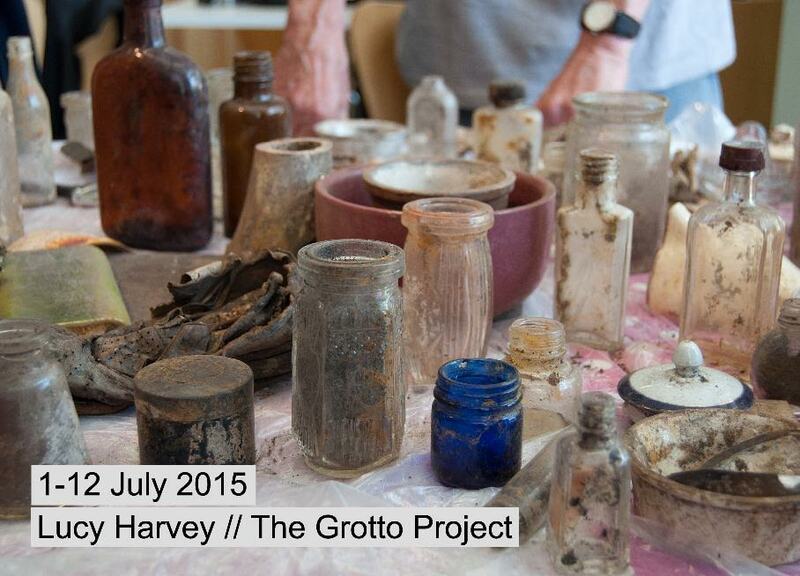 The Grotto Project is a collaborative project and sculpture inspired by the romanticisation of heritage. 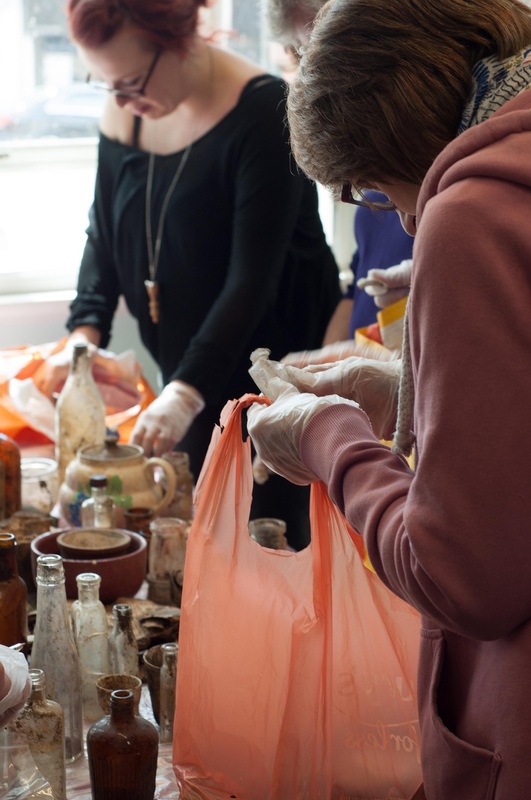 The Grotto Project will gather together historic objects and stories from around Sale to create an immersive installation inspired by archaeology and museum collections. Artist Lucy Harvey is working with local residents to create the sculpture inspired by the social history of Sale in The Square Shopping Centre as part of Sale Arts Trail 2015. 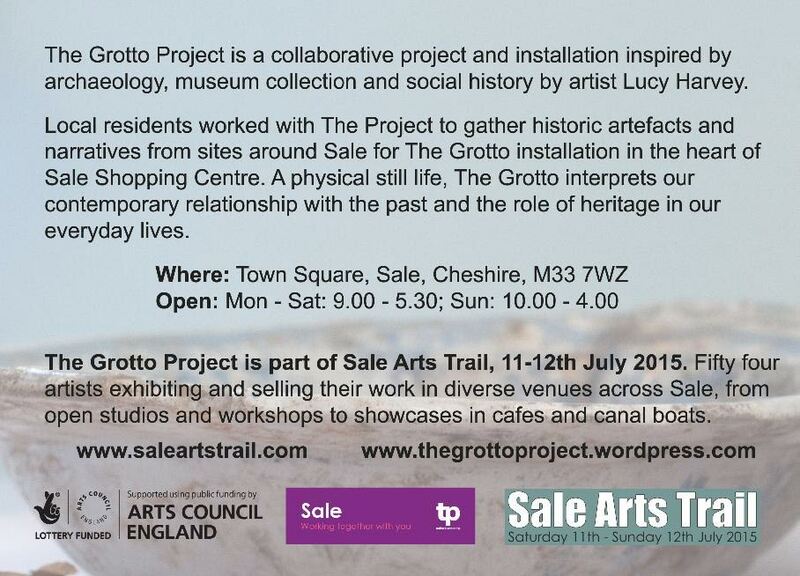 The Grotto Project is supported using public funding by the National Lottery through Arts Council England; and with kind support from Sale Locality Partnership with funding from Make Sale Smile.